Part B of the Application Regulation makes arrangements for handling cargo residue and waste that are due to the shipment of cargoes. Cargo is a large source of possible waste. The largest part of the shipments concerns fixed or liquid cargo that is conveyed as bulk cargo. Inland navigation ships more than 300 million tons of such cargo a year on vessels that in many cases ship different cargo types after each other. In relation to every cargo switch, the tank holds must be cleaned out with regard to the previously transported cargo to prevent the new cargo from being contaminated. Not all cargo types are sensitive to the contaminants that may possibly result from this in equal measures. Not all cargo types have the same potential effect on the environment should traces end up in the surface water. Processing cargo waste is an expensive process. A special factor within this context is the use of wash water as the medium to remove the residue from the hold spaces and tanks. Some substances will dissolve in that water and make processing additionally expensive. The first objective of the regulation in the Convention is, therefore, to counteract the creation of cargo residue as much as possible, that is to say, cargo that must be disposed of and processed as waste. 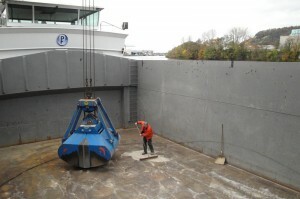 This objective can be reached by optimising cargo discharging. 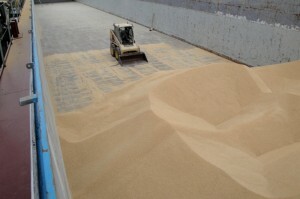 The often slight value of the shipped (bulk) cargo makes the unloading of this last residue an expensive part of the process because it is time consuming and labour intensive. But discharging the cargo waste in the channels that exist for this purpose is also expensive. A basis has, thus, been found to realise regulations within the logistics chain of the relevant transport that promote the responsibilities for having a sustainable working method. These regulations focus on ensuring that the expenses of the ‘contamination’ and, therefore, the costs that must be avoided are borne by either party in the chain. The Convention is based on the shipment contracting party. This party, after all, is the one that has the knowledge and resources to optimise the discharging process, to again make suitable any cargo residue after recycling for use and because this party should bear the costs for any processing through the pricing with regard to the shipment. The principle is that the vessel is made available in such conditions that an ‘unimpeded’ transport can be carried out, and that this vessel is again brought to the same conditions after shipment has been completed. The addressee also has an important role in this process. In particular, the addressee is in charge of the best possible unloading and the removal of cargo residue. The unloading process focuses on the unloading standards that have been set down in the Convention. Depending on the nature of the cargo type and the sensitivity to contamination of the environment or the contamination of other cargoes, a procedure that goes further or does not go as far is prescribed. Cargo residue and remainders must be received by the addressee. The Convention makes provisions with regard to the mandatory use of a stripping system for tanker vessels with which the unloading of liquid cargo can be optimised using the pump system of the vessel. The correct implementation of the procedure is documented in a discharge form with which a completed transport is concluded and that must be kept available for verification on-board for the regulatory authorities. This discharge Form must be issued to the vessel by the addressee and must also specify the destination of any residue if it will be discharged elsewhere and not to the addressee.